This week, the New Republic published, Will the Democrats Kill the Green Party by Stealing Its Best Idea? The article asks: now that the Democrats are making the Green New Deal a central issue in the 2020 election cycle and they are becoming socialist, is there any need for the Green Party? The article had an important announcement: Howie Hawkins said he is forming an exploratory committee to seek the nomination for president for the Green Party of the United States. This is major news for the Green Party and the national political debate. In the article, Jill Stein, once again says she is not running. Her vice presidential running mate, Ajamu Baraka, who has a great deal of support in the party, has also decided not to run. If Hawkins decides to run, he immediately becomes the favorite for the nomination. Will the Democrats Kill the Green Party by Stealing Its Best Idea? Hawkins, a 66-year-old Green Party member from New York, says he was the first American political candidate to run on the promise of a Green New Deal. During his run for governor in 2010, he proposed a plan to fight climate change “with the same urgency, speed, and commitment of resources that our country demonstrated in converting to war production for the mobilization for World War II.” To reduce New York’s carbon emissions to net zero over ten years, Hawkins’s plan would “devote resources to and create jobs in renewable energy, public transit and organic agriculture,” the New York Times reported. And those resources would come from progressive tax reform, including massive taxes on the rich. Gov. Andrew Cuomo's Green New Deal is not the eco-socialist approach the Green Party has had in mind in gubernatorial and presidential campaigns since 2010. The Greens' version is an economic justice program like the original New Deal. It aims to revitalize the public sector in order to secure universal economic rights to a living-wage job, an adequate income, decent housing, comprehensive health care, and a good education. It includes public job and income guarantees, expanded public housing, improved Medicare for all, and free public education from pre-K through college. It's a Green New Deal because it would also build a zero-carbon, 100 percent clean energy economy by 2030 to provide the economic stimulus and sustainable foundation for economic rights for all. Cuomo's Green New Deal is limited to energy policy. Its headline goal of 100 percent clean electricity by 2040 covers only 20 percent of New York's carbon emissions. To eliminate the other 80 percent of emissions in the transportation, buildings, industrial, and agricultural sectors, Cuomo defers indefinitely to a study by the Climate Action Council he has had since he took office in 2011. Cuomo's 2040 goal cannot even happen because he supports new fracked-gas power plants that will emit greenhouse gases well beyond 2040. Howie Hawkins is a member of the Green Party from Syracuse. He is on this morning to try and make the case for The Green New Deal. Hudson Mohawk Magazine correspondent Mark Dunlea was on the scene when Sen. James Sanders and Assemblymember Felix Ortiz introduced a Green New Deal bill in the NYS Legislature on Monday. We also hear from Sen. Jessica Ramos, chair of the Labor Committee; Sen. Rachel May; Rev. 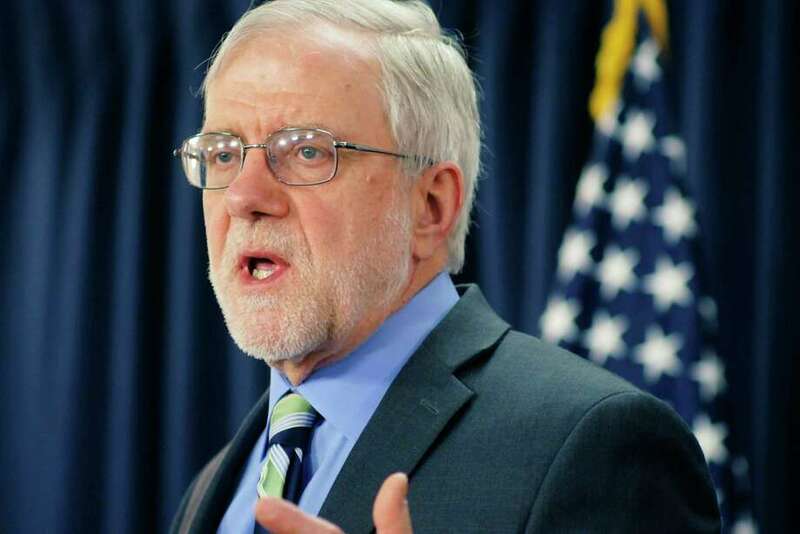 Peter Cook of the NYS Council of Churches; Alex Beauchamp of Food and Water Watch; Margaret Klein Salamon, The Climate Mobilization; and Howie Hawkins, former Green Party Gubernatorial candidate. Howie Hawkins, the Green Party candidate for Governor in 2018, submitted testimony to today to a legislative hearing on climate policy. “Climate science indicates that industrial states like New York must build out a 100% decarbonized clean energy economy by 2030 if the world is to preserve a climate that remains safe for human civilization. The climate clock is ticking down. Strong climate legislation must pass this year,” Hawkins said. In what appears to be a historic first, the state Senate will hold a series of hearings on human-caused climate change starting today. Among those scheduled to testify are NYSERDA president and CEO Alicia Barton, Environmental Advocates of New York’s Peter Iwanowicz, The Business Council’s Darren Suarez, other business representatives, environmental and community activists, clean energy developers, economists and scientists. The focus will be on the Climate and Community Protection Act, which has passed the Assembly three times. But some advocates will also likely push Democratic lawmakers who now hold commanding majorities in both chambers to go even further. The CCPA sets a goal of eliminating greenhouse gas emissions by 2050 while another proposal with backing from Howie Hawkins, Food and Water Watch and others sets a 2030 target. Looming over the hearing, and likely to be part of the discussion, is Cuomo’s lack of interest in the CCPA or other legislation setting hard goals for reducing emissions across the economy. The governor and his allies are worried about costs and the “how” of getting to such goals. Cuomo said on Monday he backs the ultimate goal of Rep. Alexandria Ocasio-Cortez (D-N.Y.)'s "Green New Deal" proposal to eliminate carbon emissions, but indicated concerns about how best to achieve such an ambitious target. Ocasio-Cortez's framework calls for a 10-year wholesale economic shift to achieve that target. "I would support a national framework that was feasible," Cuomo said. "Everybody wants to get to the same goal. The question is how you do it. ... The problem has always been the how, not the goal. I get the goal. Zero carbon emissions, yes. How?" Howie Hawkins gets the credit he deserves for the "Green New Deal." Rep. Alexandria Ocasio-Cortez and Sen. Ed Markey speak during a press conference to announce Green New Deal legislation on Feb. 7, 2019. The “Green New Deal” isn’t actually that new. Released last week by New York Rep. Alexandria Ocasio-Cortez and Massachusetts Sen. Edward Markey, the much-ballyhooed plan to combat climate change and create jobs has some broad goals in common with an identically named blueprint that Green Party presidential candidate Jill Stein ran on in 2012 and again in 2016. Stein herself said as much on Twitter on Feb. 7, and said credit was actually due to her party’s Howie Hawkins, who ran for governor of New York on such a platform in 2010. Why are Democrats trying to end the independence of the Green Party of Connecticut? As 2018 New York gubernatorial candidate and long-standing union activist Green Howie Hawkins has warned, such collaboration can only lead to the Green Party ending up as a “satellite” of the Democrats, like the Working Families Party, which, like Bernie Sanders did at the DNC in 2016, runs populist candidates who end up encouraging supporters to vote for his or her Democrat counterpart, in the end.